Boca Raton on Tuesday became the 15th Florida municipality to prohibit therapies that attempt to alter the sexual orientation or gender identity of lesbian, gay, bisexual and transgender youth. 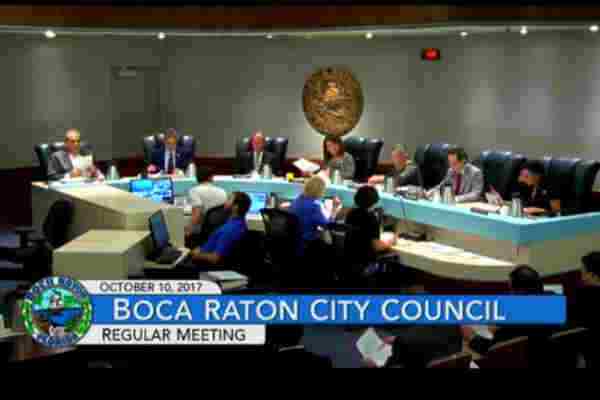 The Boca Raton City Council voted 4-1 to enact the ordinance at its meeting on Tuesday, with Deputy Mayor Jeremy Rodgers voting against the ordinance. The ban took effect immediately. In a press release from the Palm Beach County Human Rights Council (PBCHRC), which backed the measure, Mayor Susan Haynie is quoted denouncing such therapies. Other Florida cities with similar bans include West Palm Beach, Lake Worth, Boynton Beach, Delray Beach, Riviera Beach, Miami, Wilton Manors, Miami Beach, Bay Harbor Islands, El Portal, Key West, Wellington, Tampa and Greenacres. Oakland Park is expected to approve a similar ban next week. Earlier this month, Miami-Dade commissioners voted 7-4 against a similar measure.